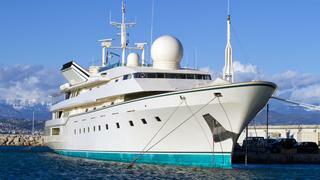 KINGDOM 5KR is a Loading... luxury yacht, built by Benetti and delivered in 1980. Her top speed is 20.0kn and she boasts a maximum cruising range of 8500.0nm at 17.0kn with power coming from two 3000.0hp Nohab Polar F216V-C750 diesel engines. 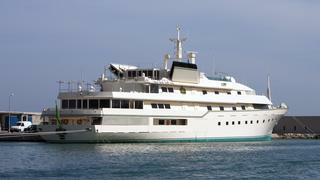 She can accommodate up to 22 people with 31 crew members. 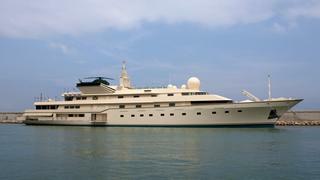 She was designed by Jon Bannenberg, and the interior design was created by Luigi Sturchio.